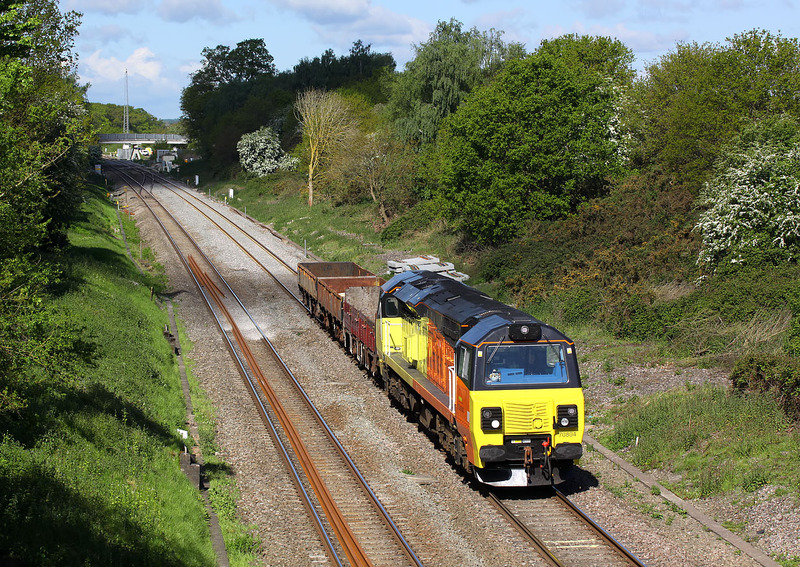 70804 passes Baulking on 12 May 2014 with the 6M50 07:55 Westbury to Bescot engineers train. Note the recently relaid track in the background. I'm not sure when the track was last relaid, but the down line between here and the bridge in the background was replaced 1993.